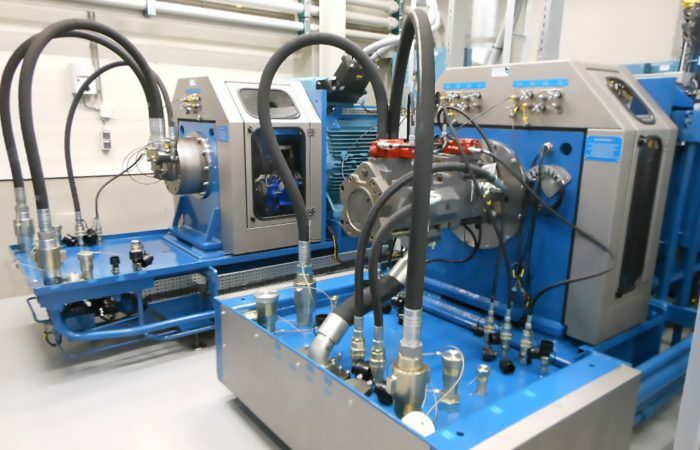 Hycom can provide complete hydraulic systems for all industrial applications, like the metal, aluminium industry, the tooling industry, the paper industry and also for test equipment. 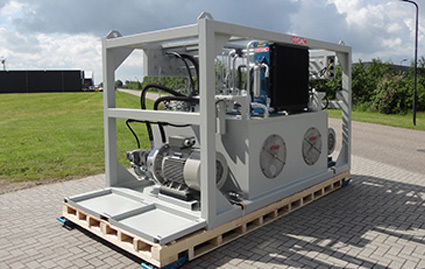 We pride ourselves in finding the best solution for you, that improves your production process. In industry, efficient production is of vital importance in being competitive. 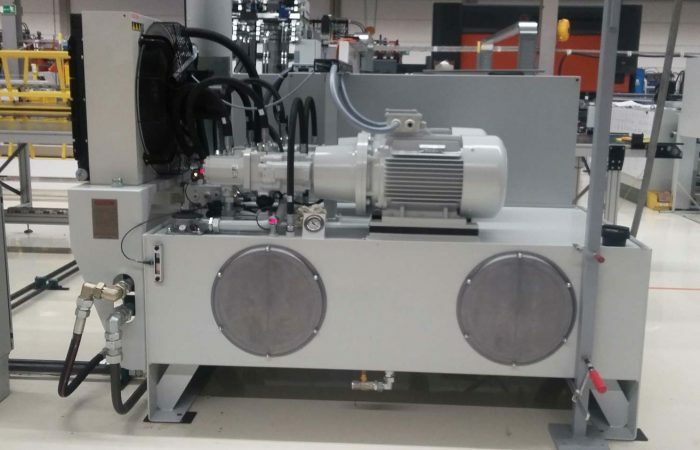 Plant reliability is crucial to smooth-running production processes. 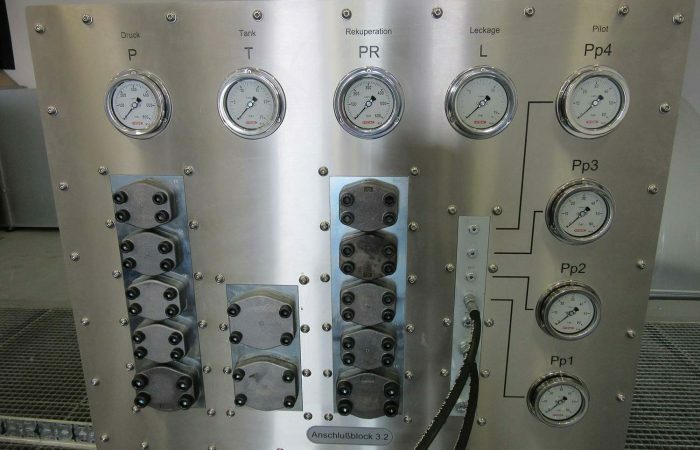 Hycom designs and builds complete hydraulic systems, combined with advanced electronic control systems that can optimise your machine efficiency. Hycom often consults closely with its customers at an early stage in the design process. 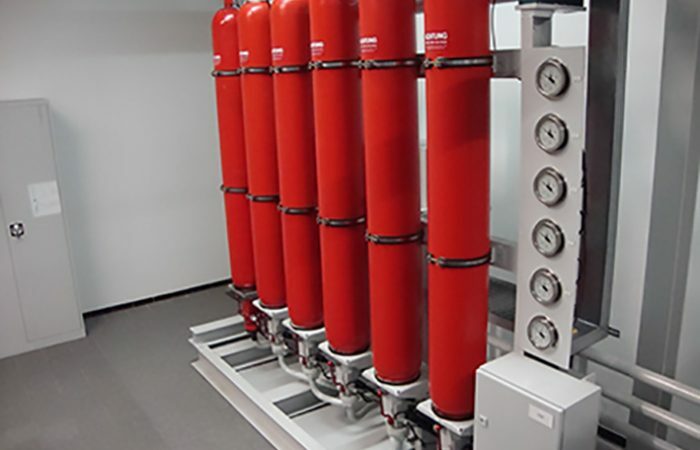 Hydraulic systems provide the most reliable, effective solution to many problems. 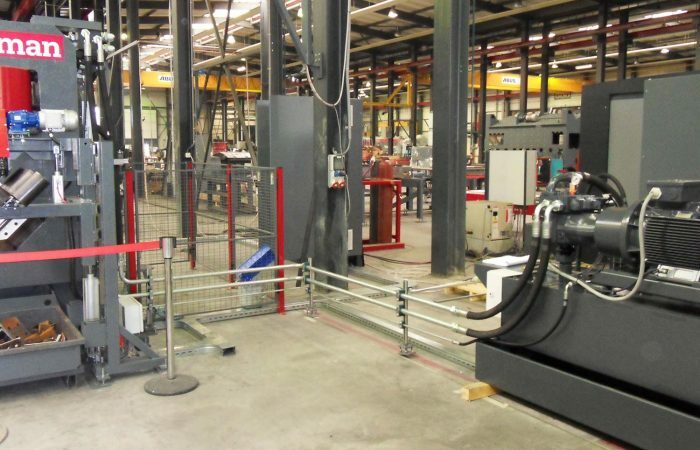 Hycom is regularly involved in the automation of entire production processes. 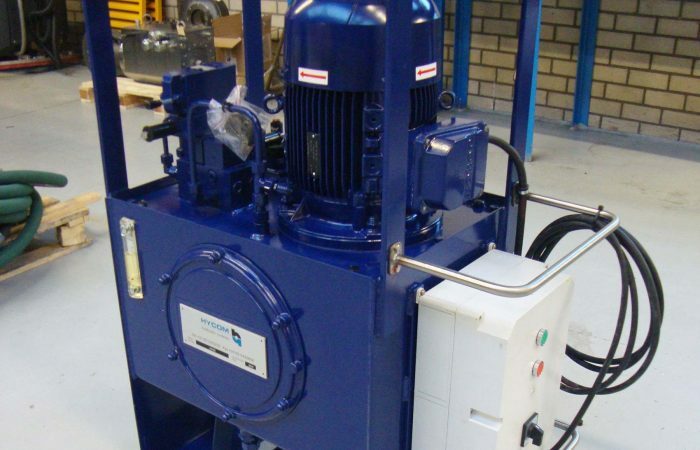 We also adjust and improve existing machines and carry out revisions and maintenance to prevent needless disruption of your continuous production processes. To prevent unnecessary maintenance we can also supply condition monitoring systems which allow you to plan your maintenance in advance and thus reduce costs. 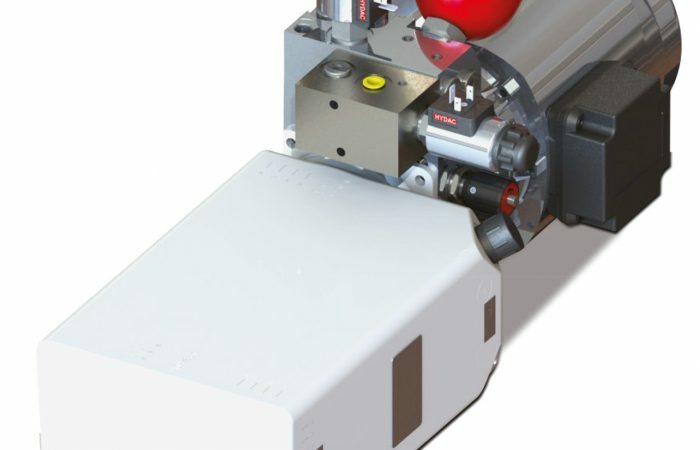 The hydraulic power pack Hydac has supplied drives a cutting line with five guillotine shears.